We bought 3 foam “bed-in-a-box” mattresses online – from Koala, Napp and Ecosa – and put them to the test against a traditional store-bought inner-spring mattress. Bed-in-a-box mattresses are enclosed in vacuum-sealed packaging so it’s possible to transport them in a box straight from the warehouse to your door. We selected 3 bed-in-a-box mattresses and compared them with a mid-range inner-spring mattress from Sealy Posturepedic’s Aspire range. All mattresses were queen size. Two of the bed-in-a-box mattresses were of comparable quality to the Sealy Aspire inner-spring mattress, which topped our test by a small margin. The Koala and Napp mattresses both received excellent scores for firmness and durability while the Ecosa was “very good”. The main difference between the two mattresses types was how firmness changed over time. The inner-spring mattress became firmer while all the foam mattresses became softer. This was down to the different materials each mattress type comprises – foam softens while metal springs get stiffer. While we can’t comment on comfort, we think bed-in-a-box foam mattresses offer excellent value for money. The foam mattresses cost between $1050 and $1248 for a queen size. This compares favourably to the Sealy Aspire’s price tag. Our test found the best bed-in-a-box mattresses will last as long as a mid-range inner-spring mattress. Look out for discount codes for “bed-in-a-box” mattresses. At time of writing, Koala, Napp and Ecosa all offered discounts between $75 and $250 if you entered a discount code at their respective online checkouts. GUIDE TO THE TABLE = Recommended. MODELS AManufactured in Australia where testing was carried out. Sealy mattresses sold in New Zealand are manufactured in New Zealand so may vary from the tested model. PRICE is for a queen-size mattress. BPrice is in NZ dollars. However, this mattress was purchased in Australia. 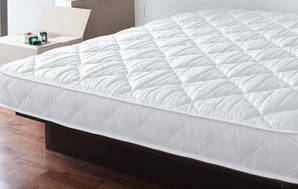 FIRMNESS & DURABILITY SCORE We measured and scored how much a mattress will change in firmness over its lifetime. Mattresses that change less score higher. SIZES AVAILABLE S = single, LS = long single, KS = king single, D = double, Q = queen, K = king, SK = super king.